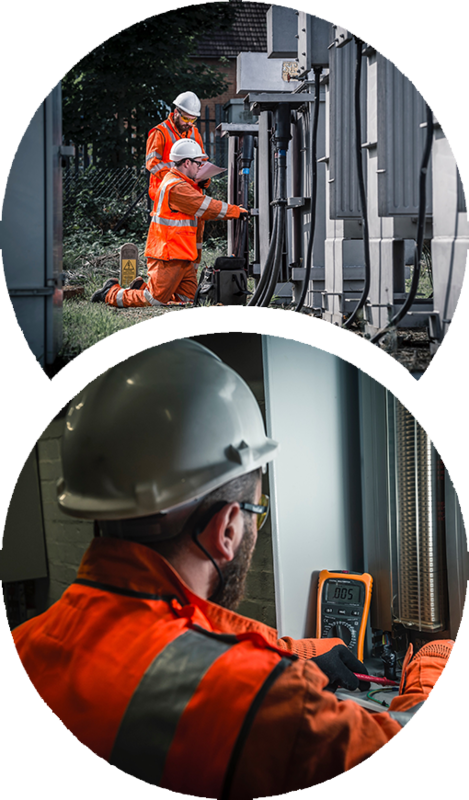 RJ Power Rail provides design, installation and commissioning expertise for of all types of earthing and bonding systems including sub-station earthing. This is prevalent when it comes to “Hot Sites” which are locations where the voltage between the sub-station and or switching station earth bar and the local earth (UTE), exceed a defined voltage limit (UTE MAX), during a phase-to-earth fault. RJ Power Rail can provide valuable support in both consulting and designing efficient earthing rectification. Sub-Station Earthing – from early engagement and consulting with Network Rail Engineers, RJ Power Rail can design, install and commission all types of earthing arrangements from “Hot Site” rectification, to new installations using the standard methodology of driving earth rods into the ground utilising pneumatic drivers, to core drilling and installing earthing systems using Marconite Conductive Concrete. Bonding – from new installations to maintenance of existing systems in predominantly 25kV areas, RJ Power Rail can design and install all types of bonding systems whether it be connecting from the existing Return Screen Conductor (RSC) using Pfisterer ground tap connections, or connecting 120mm bonding cables to extraneous metalwork.